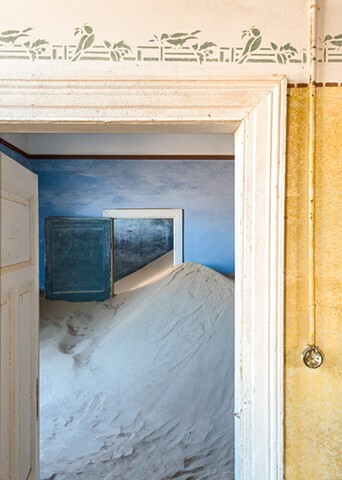 Kolmanskop is like a designer's dream. There are so many handpainted trim designs and wall designs that really tweak your imagination. Many looked like wallpaper, the designs were so intricate but they were painted on the walls. You get a feeling for how proud these people were of their homes in the desert, like they were bringing a little civilization to the very harsh environment.